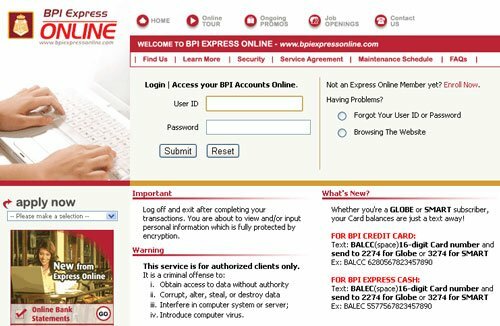 You may make online payments to Dragonpay-accredited merchants using your BPI Express Online (EOL) Internet Banking facility. If this is your first time to use BPI EOL to pay a Dragonpay merchant via the Bills Payment facility, you have to go through a simple one-time online enrollment process. If you have already done this previously, skip to Step 3. Click the Submit button. Enrollment form will be displayed. Choose option “2. Print, Sign and Submit Form to Your Branch”. Upon submission to your branch, this can take a day or 2 for BPI to complete. If the BPI account officer is having problem locating Dragonpay in their biller list, you may tell him or her that the Biller Code is 5568. From the main menu, go to Payments & Reloading >> Bills Payment >> Pay Bills Today. Choose “DRAGON 01” from the dropdown list of billers. If you do not see DRAGON 01 in the biller dropdown list, that means you have not completed the enrollment described in Step 2 above. Go back to Step 2 to complete it. Type in the exact amount due as stated in the email instruction. 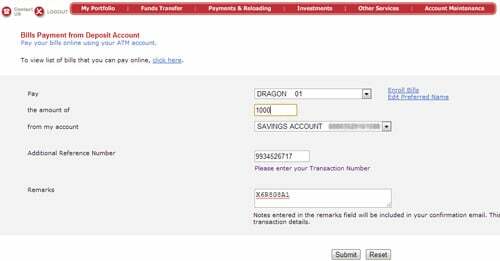 Select your source BPI account to fund the payment. For the Additional Reference Number field, copy-and-paste the 10-digit sequence that was emailed to you. Click the Submit button when done. If bills payment is successful, EOL will display a confirmation page and send out an email to your account. You can keep this email in case there is a need for future reconciliation. 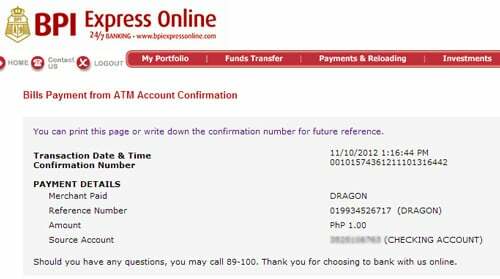 Dragonpay will process your payment within ten (10) minutes and will send you a separate confirmation email when done.